All are welcome! 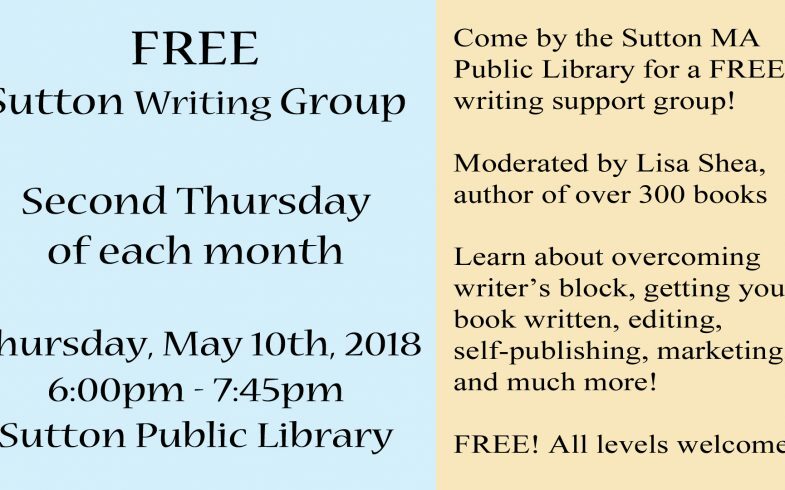 Come on out to our FREE monthly Sutton Writing Group meeting on Thursday, May 9th, 2018. We begin at 6pm and run to 7:45pm. The library closes at 8pm. 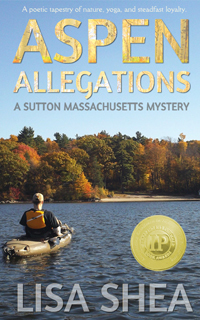 Our meetings are held at the Sutton Public Library which is in the Sutton Town Hall. It’s right on the Sutton common with the gazebo. Parking is in back with the garages for the fire trucks. The entrance is in the back as well. All levels are welcome. Whether you’re just thinking about a book idea or you have one out and would like help marketing it, we are here to help! The moderator Lisa Shea has published over 300 books on Amazon including a number which have reached best seller status in various genres. Please come and join us – we’d love to see you! Even if you can’t make it to the meeting, get in touch with us. We have regular conversations, share advice, and cross-market via email.